 Eugen Wintergerst was born on 13 June 1915 at Lauben. Wintergerst was serving with JG 77 at the time of the invasion of Russia. Oberfeldwebel Wintergerst was assigned to 4./JG 77. He recorded his first victory on 28 July 1941, when he shot down a Russian I-16 fighter. Wintergerst was particularly successful during August 1941 claiming 17 victories during the month. On 9 August, he claimed four Russian SB-2 twin-engine bombers shot down to record his second through fifth victories. Two days later he claimed another two SB-2’s shot down (6-7). On 12 August, he claimed seven SB’s shot down near Odessa (8-14). To finish the month Wintergerst claimed another two SB’s shot down on 27 August (17-18). During September, Wintergerst added two Russian MiG-3 fighters to his tally to raise his victory total to 20. On 24 September, he was involved in a collision with Leutnant Herwig Zuzic (13 victories, killed in action 19 August 1943) north of Perekop. Wintergerst baled out of his stricken Bf 109 E-7 (W.Nr. 3632) “White 13 + -” into captivity. Zuzic also was able to bale out and was also taken prisoner. Some months later both Wintergerst and Zuzic were parachuted into Rumania by the Russians to act as spies. They gave themselves up to German authorities and told them they had persuaded the Russians they had defected. 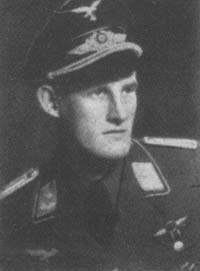 On 1 April 1943, Leutnant Wintergerst was appointed Staffelkapitän of 9./JG 1, based at Deelen in Holland. On 11 June, he recorded his first victory with the new unit when he shot down a USAAF B-17 four-engine bomber for his 21st victory. He added a USAAF P-47 fighter to his tally on 30 July to record his 22nd, and last, victory. On 4 September 1943, Wintergerst was shot down and killed in Bf 109 G-6 (W.Nr. 15 609) “Yellow 1” in aerial combat with RAF Spitfire fighters near Bergues. Eugen Wintergerst was credited with 22 victories. He recorded 20 victories over the Eastern front. Wintergerst also recorded one four-engine bomber shot down over the Western front.